Amazon don’t really need excuses for special sales, but hey, there’s a good one this month – The Early Easter Sale. And if you were still on the fence about an Amazon Fire TV (one of the best TV streamers out there, in my opinion), now’s the time, with some impressive price cuts. The Amazon Early Easter sale will be running until March 26, at which point – and that’s just an educated guess – we’ll get the ACTUAL Easter Sale (as opposed to the Early Easter sale). However, Amazon are usually fair, and a discounted product in the Early Sale probably won’t be sold for a cheaper price during the Easter Sale – unless, perhaps, if it’s part of a time-limited Lightning Deal. During the sale, some products will be discounted for the entire period, while others will see reduced prices for a limited time, with daily (and even hourly) lightning deals. As usual, remember sales are best utilised for things you were intending to buy anyway – if you don’t have money to buy something, a sale shouldn’t change your mind. 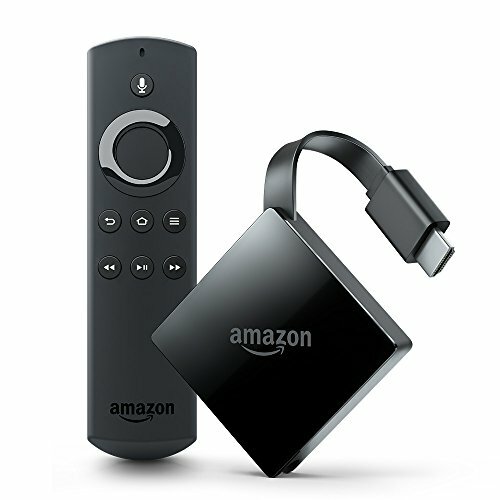 Here are some of the good offers we found for Cord Cutters and TV lovers, starting with the Amazon Fire TV reductions. Tip: You can get free shipping on most offers with an Amazon Prime subscription. And… there’s a 30-days FREE trial of Prime, so there’s nothing to lose. (Just don’t forget to cancel before the 30 days are up, if you don’t want to pay for the whole year). Click Here to get the Free Amazon Prime Trial. The “All New” Amazon Fire TV with 4K – Amazon’s latest “full-size” Fire TV device, which is less of a box these days and more of a tiny square that goes behind your TV. 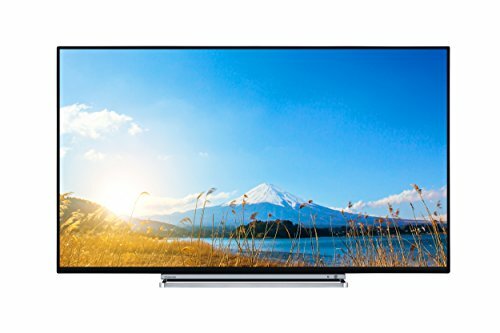 It supports 4K and HDR, comes with the Voice Remote (that can also be used to interact with Alexa, Amazon’s AI assistant), and has apps for most of the major streaming and catch-up services in the UK. (Notably missing: NOW TV, Google Play and Apple). The “All New” Amazon Fire TV with 4K – If you want an even more portable streaming solution, to take with you on holiday or to grandma’s house, Amazon’s Fire TV stick is the way to go. With a library of more than 7,000 apps, it supports most of the major streaming and catch-up services (minus NOW TV, Google Play and Apple). 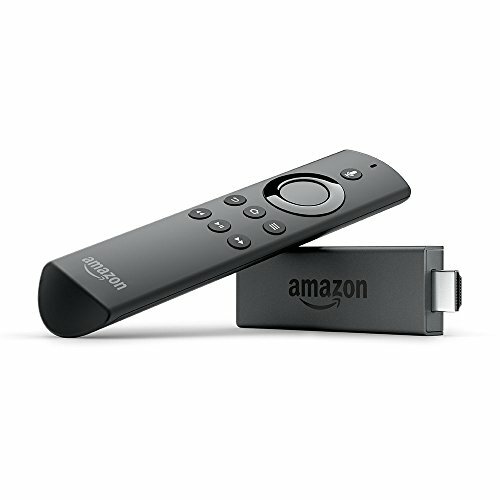 This edition also comes with the Fire TV Voice Remote, which lets you control and search content with your voice, and use the Alexa AI assistant. 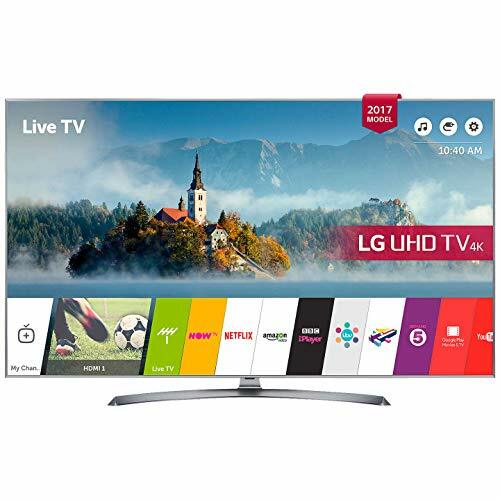 LG 43UJ750V 43 inch 4K – Excellent telly with a 4K, Multi-HDR screen and apps for most of the major streaming services – Netflix, Amazon Video, and NOW TV. We’ll keep updating through the coming days as new deals come up. PreviousTV Licence Fee Is Going Up – But Do You Need To Pay?